I recently signed up for the Anthro card in the store. I will save my thoughts on the card for an upcoming post, but I received my first Anthro newsletter today. 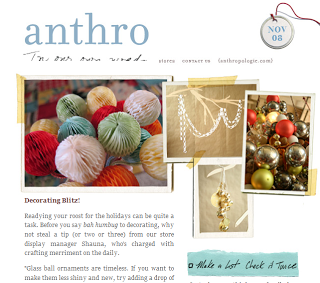 This month’s newsletter focused on decorations for the upcoming holidays. I’m eager to see what some of these decorations look like in person!